[We are grateful to Sharyn Pratt, Civil War Historian & Board Member of the Kent Historical Society for contributing to the following Haversack Journal item. Thank you, Sharyn]. 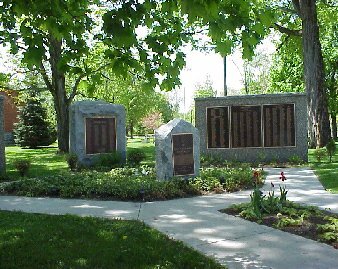 Come, step back in time, and share in the History of Putnam County and honor the 858 Civil War soldiers who joined the Union Army from this region's towns and villages. Some of the prominent individuals who claimed Putnam County as their home include Generals Daniel Butterfield, Darrius Couch, William Morris and G.K. Warren. 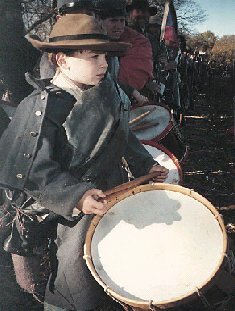 Join with living history enthusiasts and experience a real Civil War encampment. event. Ten percent of the proceeds from the sale of CDs and tapes will be donated to local museum and preservation efforts. Additional weekend events will include field music from Union and Confederate musicians, mounted cavalry, artillery, musket and field hospital demonstrations. Event participants will be able to get a close look at Union, Confederate and Civilian camplife. The camp opens to the public at 10 a.m. on each day. This event is being sponsored by the Putnam County Visitors Bureau and Southeast Museum. For more information contact the Putnam Visitors Bureau -225-0381, Southeast Museum -279-7500, Event and Union Coordinator, Tom Breslin -228-1239, Sutler and Confederate Coordinator, Curt Pratt, -228-0507. County. More than 300 joined the 22nd New York Volunteer Infantry, the 93rd NYVI or the 123rd NYVI. Another group served in Vermont and Massachusetts, and other New York State Units. The two granite Civil War monuments will flank a Revolutionary War memorial. The Civil War commemorative forms the "keystone" or "Arch of Honor" according to the Committee to Raise a Permanent Honor Roll to the Veterans of Old Cambridge. We are greatly honored to be part of COMPROC's weekend of rejoicing. For more information about the weekend's activities contact Dave Thornton, Chairman at 518-677-3038.
me. We definitely want to come to another show". Thank you Caffe Lena for giving us the opportunity to grace your historic stage and evoke the memory of all our veterans. 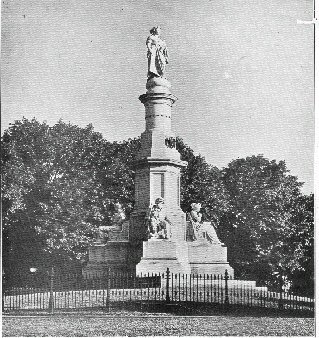 The Soldiers" National Monument was dedicated on July 1, 1869. The monument stands on the very spot where President Lincoln delivered his Gettysburg Address. Presented by The Greenville Area Chamber of Commerce, August 20th, 21st, & 22nd, 1999 at the Balsam Shade Resort, Rt. 32, Greenville, NY Balloon launches, Saturday & Sunday, Dawn & Dusk. On Sunday, August 22nd the following activities will be presented: Balloon Launch, Sunrise Ecumenical Service and Choral Groups, Choral Presentations on Stage, & 77th NY Regimental Balladeers (bagpiper accompaniment) For reservations, call 518-966-5050. Described by John Billings in his book Hardtack and Coffee, the average regulation haversack was a bag constructed of painted cotton cloth, about one foot square with a broad strap, 1 to 2 inches, for the shoulder. The haversack was carried by most Civil War infantrymen. The haversack was in constant use, and along with the musket and canteen, was a real necessity to the foot soldier. Soldiers would bundle all their food and table furniture in it while on the march. Often an extra bag was included which could be buttoned to the inside back of the haversack to keep the various food items separated. Smaller draw string bags were added to hold rice, coffee, sugar, salt and pepper. 35. The first major Battle of the Western Theatre and one of the fiercest was fought at _________ 37.